You are here: CBM > Macros. 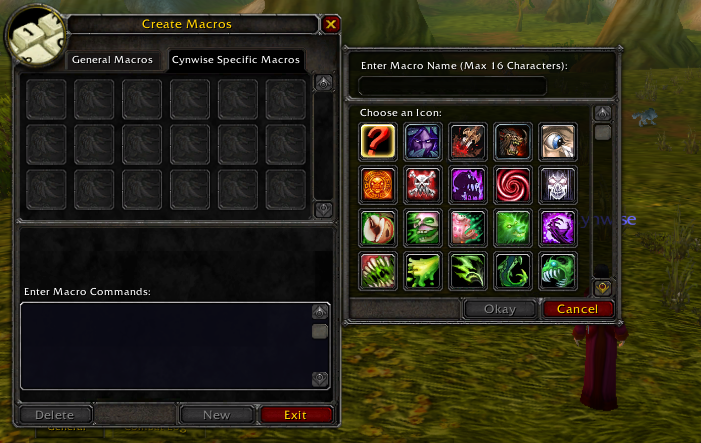 I’ve gone ahead and started putting the macros I actually use, both in posts and in the game, up on reference pages on this site. They’re not intended to be a comprehensive overview of macros for each class, but rather the macros which I find useful enough to keep after playing with them for a little while. You will also find additional posts in the Macro category of this site.